What information does the online edition of the Sauce Magazine gather/track about you? We will never sell our customer's private information to third parties. Sauce Magazine does not automatically collect any personally identifiable information, such as name, address, email address or telephone number, from visitors to our Web site. 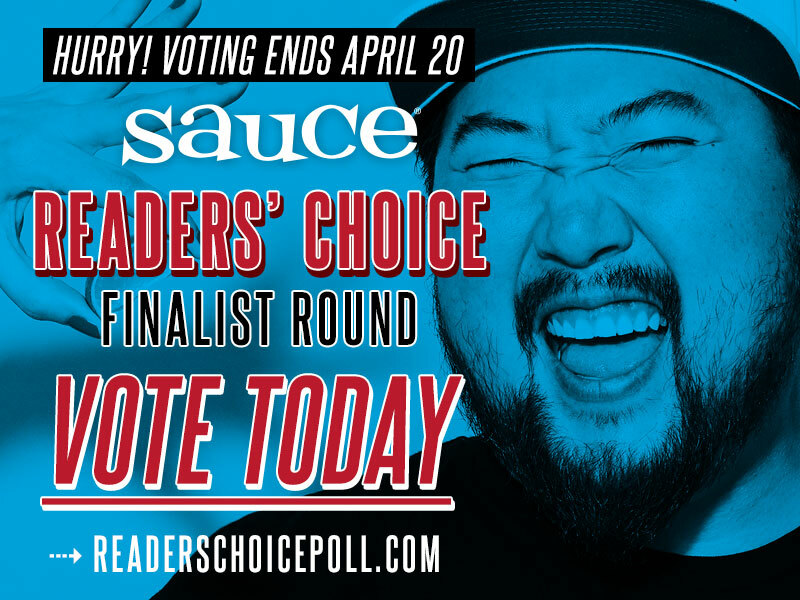 Occasionally, as a visitor to our Web site, you may be asked to voluntarily supply Sauce Magazine with certain personally identifying information when, for instance, you order goods, enter contests or request information, comment on blog, or submit to the reader's review for a particular restaurant or shop (a "Vendor"). What does the online edition of Sauce Magazine do with the information it gathers/tracks? Sauce Magazine may use the information to create aggregate statistics about activity on and visitors to our Web site. Such analysis may be used to measure the interest in various areas of our site and to inform advertisers as to how many consumers have seen or "clicked" their advertising banners. We may also use such information to allow editorial content and/or advertising on our Web site to be targeted to groups of users for whom it is most pertinent. This means that users see editorial content and/or advertising that is most likely to interest them. In this statistical analysis and advertisement targeting, we will disclose information to third parties only in aggregate form. Personal information about you as an individual will not be provided to any third party without your consent, except under the circumstances described in Compliance with the Legal Process below. Compliance with the Legal Process: We may disclose personal information if we in good faith believe that such action is necessary to (1) comply with the law or with legal process; (2) protect and defend our rights and property; (3) protect against misuse or unauthorized use of the Sauce Magazine Web site; (4) protect the personal safety, property or rights of our users or the public; or (5) permit a Vendor to email a response to you directly in reply to your submission to the reader's review. Personal information collected by the Sauce Magazine Web site may also be used for internal administrative purposes, including but not limited to site administration, troubleshooting, processing of e-commerce transactions, administration of sweepstakes, contests, e-newsletters and other communications with you. Certain third parties that provide technical support for the operation of the Web site may also have access to such information. In all cases, however, we will use your information only as permitted by law. We will never sell our private customer information to third parties. We will retain the option to promote to our customers on behalf of a third party in the form of advertising. At any time a customer can opt out of such advertising at the time such advertising occurs. To what extent does the online edition of Sauce Magazine use "cookies"? Our Web site sometimes includes surveys, contests, sweepstakes, rating/comments, blogs and promotions that each registered visitor can participate in. In order to ensure that no visitor participates more than once, Sauce Magazine may use a "cookie" to track user activity. This cookie does not contain any personally identifiable information about the visitor, but only a unique number with no meaning outside of the Sauce Magazine Web site. Our Web site contains some links to Web sites that are not operated by Sauce Magazine. Sauce Magazine makes no representations about the privacy practices of these third party sites. Through our Web site, you may also be introduced to, or able to access, information, other Web sites, features, contests, sponsorships or sweepstakes offered by other parties. Users should check the applicable privacy policies of those third parties when providing personally identifiable information. The Sauce Magazine Web site does not knowingly collect or solicit personally identifiable information from or about children under 18. If we discover that we have received any information from a child under 18 in violation of this policy, we will delete that information immediately. If you believe the Sauce Magazine Web site has any information about anyone under 18, please contact us at the address listed below. Sauce Magazine uses administrative, technical, personnel and physical measures to safeguard personal identifying information against loss, theft and unauthorized use, disclosure or modification. However, as effective as these measures are, no security system is impenetrable. We cannot guarantee that the information you supply will not be intercepted while being transmitted to us over the Internet.